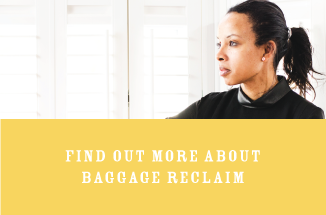 In this week’s episode of The Baggage Reclaim Sessions, I explore seven key reoccurring themes in stories people share with me that highlight their complicated relationship with apologies. The first experiences of friendship with family members (siblings, cousins) or with our peers at school are often in the background of present-day experiences, sometimes affecting our ability to forge intimate relationships due to trust issues. Sometimes [the apologiser] wants you to hurry the hell up and accept their apology so that they can get back to doing the very thing that they know you don’t like. 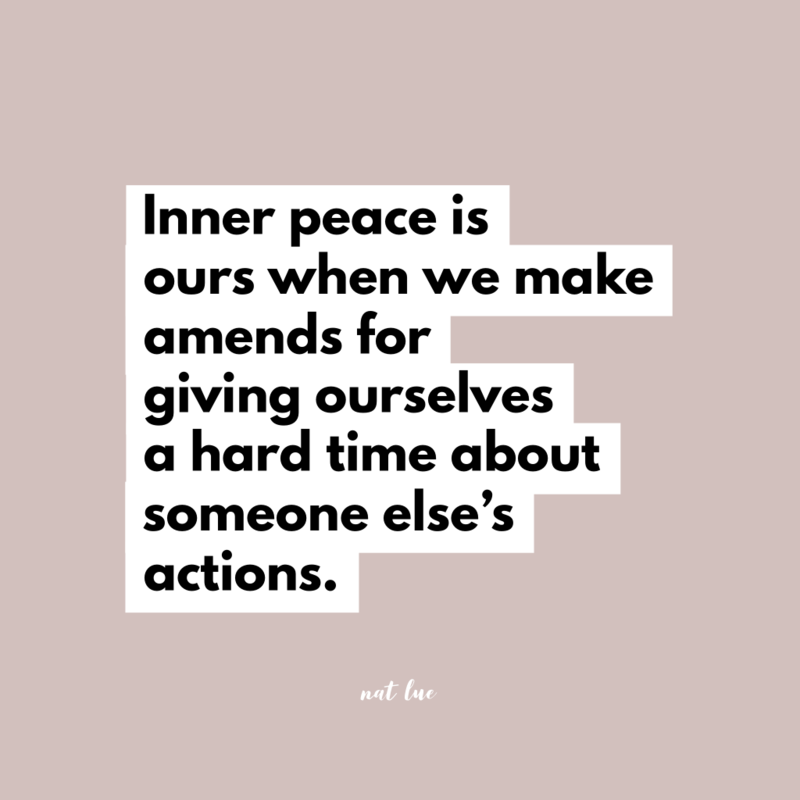 We have to take ownership of the narrative within — the things we say to and about ourselves in response to someone’s transgression or their lack of apology or remorse. We have to recognise that people react and respond to situations based on habit, not on what we think they should do. If someone has various experiences filed under apologising in their subconscious that are also associated with feelings of guilt and remorse, and those feelings trigger them into feeling defensive or ashamed, that will then cause a sequence of behaviours that won’t match what we want them to do. We have to be careful of assuming that we believe an apology means is the same as that person’s intentions. If you’re able to recognise what’s wrong about a situation and learn what you can that helps you to have the better emotional, mental, physical and spiritual boundaries moving forward, you can accept the apology that you didn’t get. Sometimes we need to apologise to ourselves for giving us a hard time about what somebody else has done. Nat this really resonated with me. Nugget 4 especially. After my medical misdiagnosis and the way I was treated with indifference, I felt so devalued and unrecognised. No empathy when told that I didn’t have the condition I’d been medicated for over 12 months and no recognition of the impact on me and my life. Because of the process I am going through I know that I will get an apology as this is being sought for me by an authority the hospital cannot ignore. I had to move on in the meantime and have done so with professional help. That doesn’t mean I have forgiven or forgotten. What I do know is that a few trite words on paper won’t cut it and I will be making it clear that only a face to face apology will do as I’d like to see the management of this hospital squirm. After all this time even that will be a prompted apology but it will have to do. I know that the investigation that is taking place will ask some hard questions which it should do and I also know that the hospital was lacking in how it dealt with this incident and I’m hoping that the investigation will expose that. I pity the managers and the Consultant at this hospital for their poor behaviour and that is how I’ve moved on without being bitter. I know I can look in the mirror and like what I see because I stayed true to myself and acted within my boundaries by kicking the Consultant into touch and holding him accountable for his actions and misdiagnosis. He got a powerful message that I won’t be messed with and the hospital is also getting that message now through an investigation after all the bs, lies, bullying, evasiveness, vagueness and fobbing off I’ve had to put up with. The truth as they say will out and it is going to for me now.They have only themselves to blame. I am woman hear me roar is my motto for this situation. Natalie, really great podcast. thank you. It something that I find myself and others struggling with quite frequently. Often we just end up running ourselves in circles while still not coming up with an answer that feel really answered the question! Always ends up occuring to me in the end how much it has to with boundaries for ourselves and others. Like encroaching on other peoples boundaries by expecting them to apologize for what we feel is violating their boundaries, when we may have a very rigid boundary that’s got to do with some bugaboo of ours thats not within the general context of societal boundaries. Then expect others to take our bugaboo on and not only expect an apology for causing us the discomfort we dont want to feel, but also getting angry at them for it! I know you’ve written a good about boundaries in the past – all wonderful. I was looking through them to see what I could find that has to do with the idea how boundaries cover so much territory (apologies being one of them) and to keep it all straight it feel like (at least to me) I am on constant boundary watch. Whats mine, what’s someone else’s – and knowing the difference. I myself quite often in hyper vigilant mode. Not like the “boundary police” but just to keep track of whats going on. Like if i leave for a little mental vacation (paying attention to things all the time is EXHAUSTING! ) it seems like when I come back the border patrol is dealing with mayhem and going “thank god your back! Everything when nuts after you left!! !” And Im like “really, can I not just take some time off to not think about anything and relax?” Yes, I know the world wont end if boundaries get over run by either side. But holy cow, the amount of work it takes to play catch up and figure out whats happened seems to be so much more complicated and take a lot more time to figure out than if I hadnt left for vacation at all. One the one hand learning about understanding, identifying, creating, observing boundaries (both ourselves and others) and how play into so many other things, has been terrific. On the other hand, it can seem like one can easily pay so much attention in daily life to keeping things straight. Personally it seems more often than not sometimes all the psychology related things we can find online, the catch phrases that people use etc get twisted and distorted to work for them. Problem is what they say can sound so TRUE which adds another layer of complication! If you’ve written about finding the balance – allowing ourselves to take a mental breather on all the things we see we need to pay attention to live better lives in a way that doesnt end up dominating/complicating our head space all the time in the past- I’d love to go back and reread it again. Thanks Natalie for being you and doing what you do because of it. And…. we didn’t have the internet in the 70s! The way I work is two strikes and I’m out. being hyper vigilant is tiring you out and maybe you are looking for things that aren’t there or not apparent yet. I go with the flow but know what my boundaries are. If they crossed first time I take stock and back off. If the first strike was an absolute no no like my ex dicking around then I am straight out. After the second strike which is often strike one + extra bs then I go but let the other person know how I feel on my way out the door. Often if you get to know people they will declare themselves without you trying to trip them or yourself up. I feel you might need to chill a bit and take things at face value. Someone I know met a man on a long holiday but he lives long distance. He is now seriously ill and she is his carer as she has moved to live with him during his treatment. 1) I won’t do long distance relationships 2) I wouldn’t like to become a carer after 4 months in a fledgling relationship and 3) meeting someone and after years health problems arising is very different to that happening after a short period of time. Now some may think I am selfish, far from it but I have health problems and would not like them to define the role a man played in my life nor to define the relationship dynamics.